Why can't I find Firefox in the AppCenter? Not only Firefox, but also other non-elementary Apps. AFAIK the AppCenter only shows apps whitin the Ubuntu Store and sources. If those apps you have aren't on the official repos they won't show up there. In the repositories included with Loki. Have a .desktop file that conforms to specification. 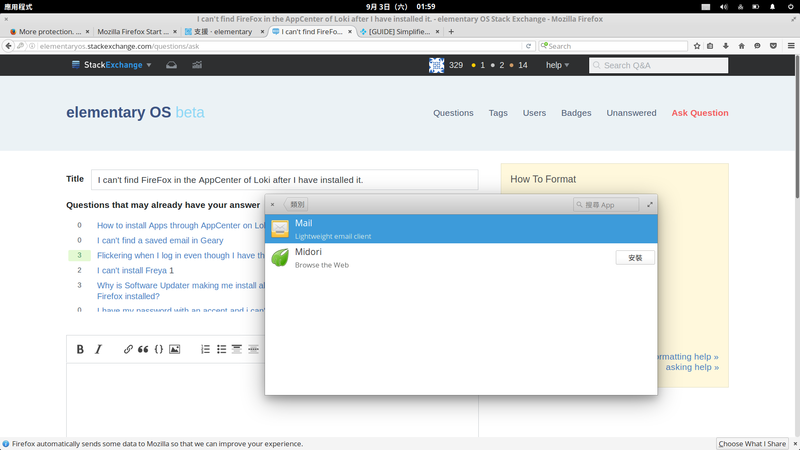 That said, Firefox appears in my AppCentre.